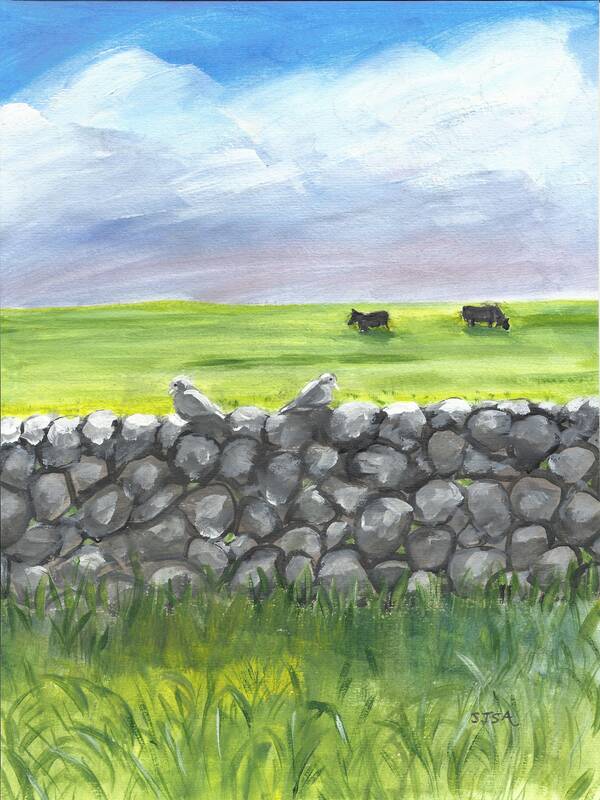 This original art details a portion of the ancient stone walls which criss cross the green pastures of Western Ireland, as noted on my recent travels. It was deliberately sketched in acrylics rapidly, with an hour as my time limit, to keep it simple, and unified. My main idea was the wall itself: how it tells a story of the struggles of forming arable land from inhospitable terrain. How the fields, once formed, have stood for centuries, utilized by generations of creatures. This scene was painted from memory, without a specific picture as reference. Some pencil marks may show through.